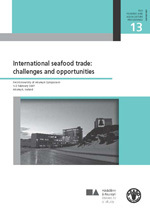 International seafood trade: challenges and opportunities. FAO/University of Akureyri Symposium. 1–2 February 2007, Akureyri, Iceland.